The Content of the Raffles Site is the copyright property of Raffles or its licensors. However, Raffles does not own all trademarks which may be mentioned in the Content of the Raffles Site. Any reproduction, republication or distribution of any of the Content of the Raffles Site without the express written consent of Raffles is prohibited. 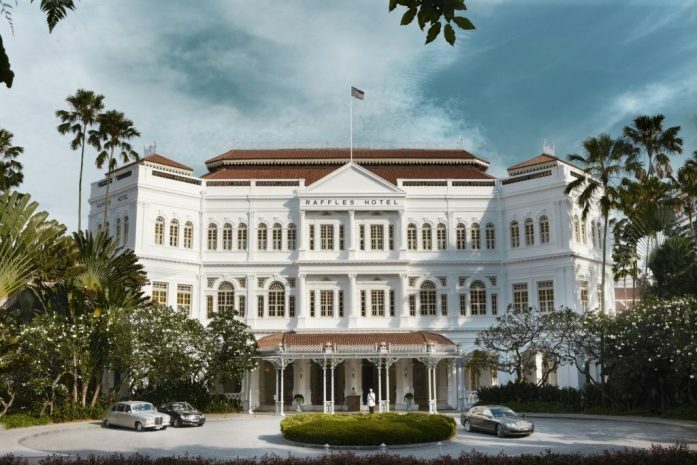 The Raffles Site may contain or make reference to trademarks, patents, trade secrets, copyright, technologies, products, processes or other proprietary rights of Raffles and / or other parties. In particular no license to or right in any of the trademarks, patents, trade secrets, copyright, technologies, products processes or other proprietary rights of Raffles and / or other parties is granted to or conferred upon you. Raffles shall be free to use any ideas, concepts, know-how or techniques contained in your communications for any purpose whatsoever, including but not limited to the development, production and marketing of products and services that incorporate such information. The Content of the Raffles Site is intended for informational purposes only and does not in any case constitute a legally binding offer. For more detailed information regarding the Online Reservation Service please check the relevant Raffles Site and its overview section. The Raffles Site contains information on Raffles’ worldwide products and services, not all of which are available in every location. A reference to a Raffles product or service on the Raffles Site does not imply that such a product or service is or will be available in your location. Your use of the Raffles Site is at your own risk. Under no circumstances shall Raffles and / or its contractual partners, any of its affiliates, officers, directors, employees, subsidiaries or parents be liable for any damages, whether direct, indirect, punitive, special, incidental, or consequential damages, and including, without limitations, lost revenues or lost profits, arising out of or in any way connected to the access to or use of, reliance on, or inability to access or use, the Content of the Raffles Site, or resulting from the access to, or inability of access to linked web sites, whether based on contact, tort, strict liability or otherwise, even if Raffles and / or its suppliers has / have been advised of the possibility of damages. The Content of the Raffles Site is provided ‘AS IS’ without warranty of any kind, either express or implied, including, but not limited to, the implied warranties of merchantability, fitness for a particular purpose, or non-infringement. Raffles Information may contain technical inaccuracies or typographical errors. Raffles reserves the right to make changes, corrections and and / or improvements to Raffles Information, and to the products and programmes described in such information, at any time without notice. Raffles assumes no responsibility for, and makes no warranty that, the functions on the Raffles Site will be uninterrupted or error-free, that defects will be corrected, or that the Raffles Site (including its Content) or the servers that make it available will be free of viruses or other harmful components. The Raffles Site may contain links to other web sites, which are not being maintained by Raffles. Raffles cannot be held responsible for the information, products, services or other material obtained on such other web sites and will not be liable for any damages arising from the access to or use of such a web site. The inclusion of these links does not imply an endorsement of the linked sites, the Content therein including any linked addresses. The linking of other web sites to the Raffles Site is prohibited without express, prior written consent of Raffles. The Raffles Site is not configured to collect any identifiable personal information from the visitor while browsing on it. It collects information for general statistical purposes only. Unless you voluntarily provide Raffles with your Personal Information (for example your first and last name, title, mailing address, e-mail address, telephone and fax number, language, employer, business title, divers preferences regarding accommodation and travel habits or other personal identifying information) it will not be available to Raffles. Every time you browse the Internet an IP address is automatically assigned to your computer. When users request a page from the Raffles Site, Raffles’ servers log the user’s current IP address. IP addresses are used to diagnose problems. The Raffles Site puts to use ‘cookie’ technology. These cookies are designed to facilitate your visit on Raffles’ Site. For example cookies are used to prevent the same user from making repeated enrolments in Raffles’ Guest Book. When you provide Personal Information as for example your name, address or credit card number while making a reservation, your information is encrypted when travelling over the Internet. After your information reaches Raffles it is stored on a secure server that resides behind a firewall. The firewall is designed to block access to this data from outside Raffles. Data protection is very important to Raffles and the Personal Information (any information relating to you) of our customers is treated absolutely confidential. Raffles complies with the high data protection standards required by Swiss and European law. When we need to collect information from you, we generally ask you to voluntarily supply us with the required data. This data will not be made accessible to third parties except if required by law, by court or by a regulatory authority. 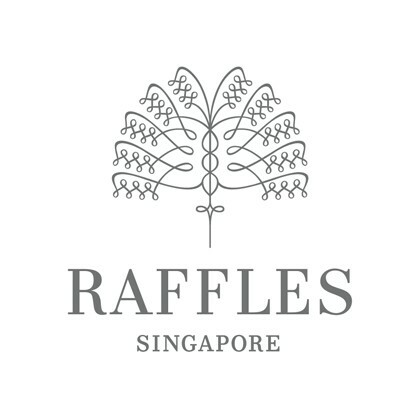 By accessing and using any services of the Raffles Site, the user and Raffles agree that all matters relating to and / or any disputes arising out of the user’s access to, or use of the Raffles Site shall be governed by and interpreted and construed and enforced exclusively in accordance with the substantive domestic laws of Singapore, without regard to the conflicts of law principles thereof and the 1980 Vienna Convention.